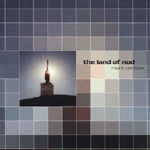 The Land of Nod are based in Cheltenham in the UK and have had two albums released to date, both on Ochre Records. Translucent was album of the week in leading Italian music weekly Mucchio, which stated "in short, a little space rock masterpiece," whilst Ptolemaic Terrascope concluded, "The Land of Nod are definitely ahead of the pack and well worth keeping a weather-eye open for." Meanwhile The Wire added "Translucent features some vintage Neu! 75 style atmospherics." Timeless Point received similar rave reviews with Vendetta in America commenting "The interplay of musicianship on the album is fascinating, the rumbling bass sounds meshing in well with the atmospheric guitar passages to create some of the more effective mood music of recent years." "Numerous glistening guitar strings are plucked, samples of traffic from Paris descend into the mix, and something that sounds like an old windmill creaks rhythmically; enter the Land of Nod. Suitable for drifting off to, this Cheltenham, England duo makes music that alternates between repetitious string picking with subliminal sonic undertones, like a less dynamic Durutti Column, and wheezing Enoesque ambient sounds that have you believing you¹re in a bathysphere touring some underwater world. Not a lot happens in this subtle music, but that's not a bad thing as it quietly evokes all manner of thought streams."